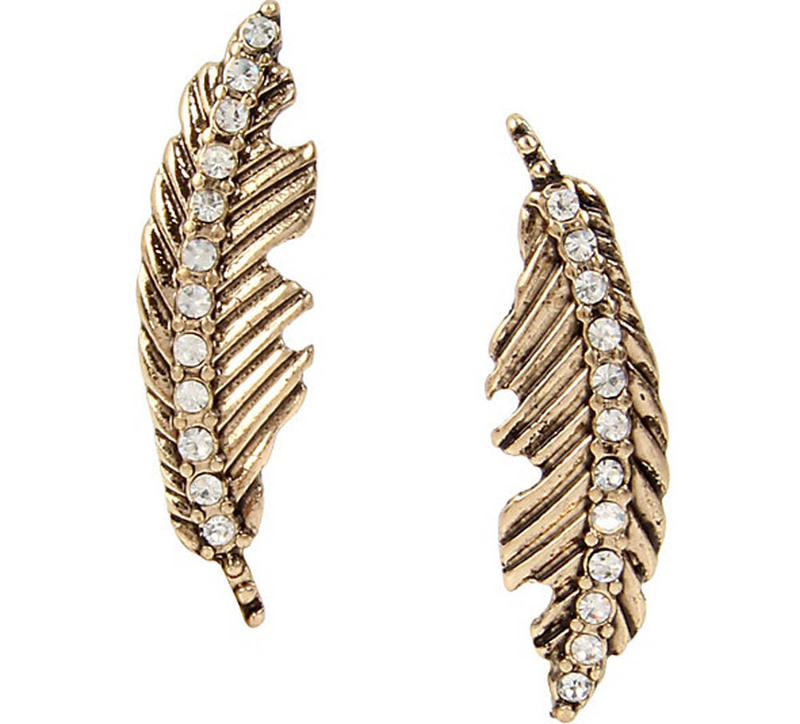 These charming mismatched feather earrings feature a sleek row of crystal embellishments. They’re the perfect balance of elegance and glam. Gold tone feather mismatch drop with crystal accents Post back Antique gold tone Metal/glass Length: 0.75" Width: 0.25"